Note: This tutorial covers how to customize the appearance of Carrot sites created before May 2016. 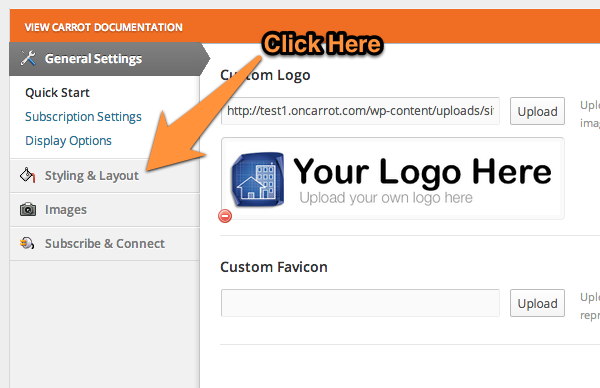 If your site was created on Carrot V.2 (After April 2016), check out the live-preview customizer tutorial here. For a quick 4 minute tour of your account, check out the video below! Our tip to make it easier is to have 2 windows open on your browser…. 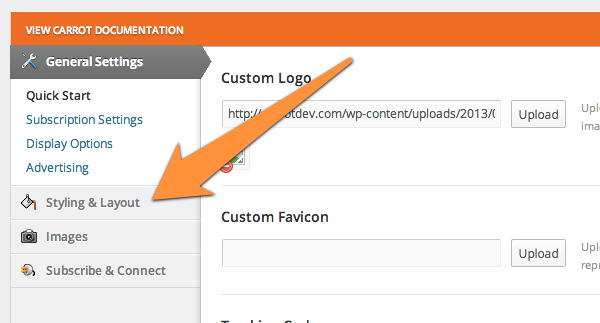 Window 1 should be the backend (Dashboard) of your site where you will make the customizations. Window 2 should be the live website… What your customers will see. This way when you save your changes you can just swap right over to the live site, refresh the site, and see your changes take effect immediately without having to leave your editing area. These Quick And Simple Branding Tweaks Will Get You Off On The Right Foot! One of the cool things you can do with your InvestorCarrot website system is make it look the way you want it to. Change the colors, upload a logo, change the structure, and more! We’ve built this system with conversion in mind which is why we don’t offer dozens of “templates” like the other guys do (why would we offer templates we know don’t convert as well as another? Makes no sense right?). So, take our stock template and tweak it to look the way you want. Start here. Don’t get caught up too much in thinking you have to change everything… most of our users who are seeing the best results actually haven’t changed much on their sites (they focus their time on driving traffic). Below is a video that gives you a good overview of the different easy ways you can brand your site… and below the video are links to tutorials showing you how to do the most common “branding” changes you can quickly and easily do in just minutes. Time to spice up the overall feel of your site? Changing the background image will do just that. Check out the video below or the written instructions below the video. Note: Adding a border is only to the top of the website. This is optional. 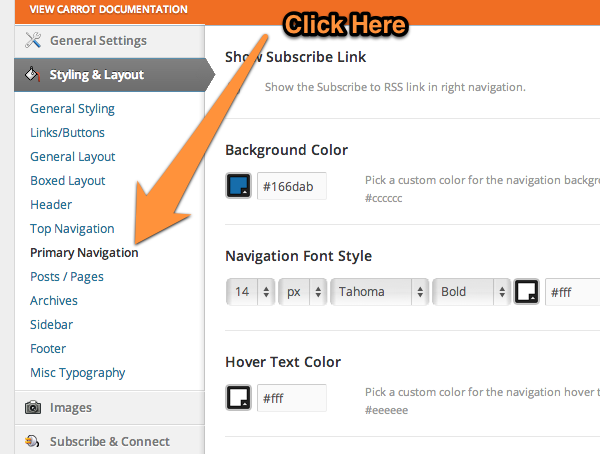 A quick way to make a visual impact on your website is to update the color of your primary navigation menu. This menu is the one with the main links just below your logo area. 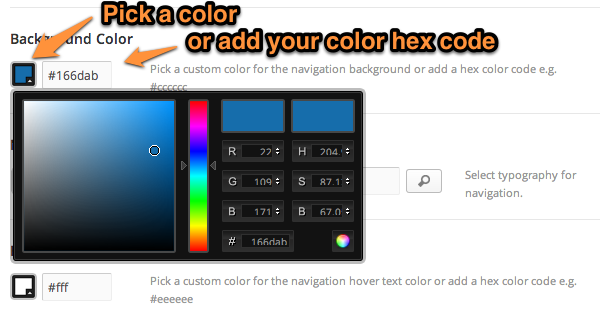 Below is a quick video showing you where and how to update your navigation menu colors. To change the color of your nav bar, simply click the color square next to “Background Color” and match to your specific color. 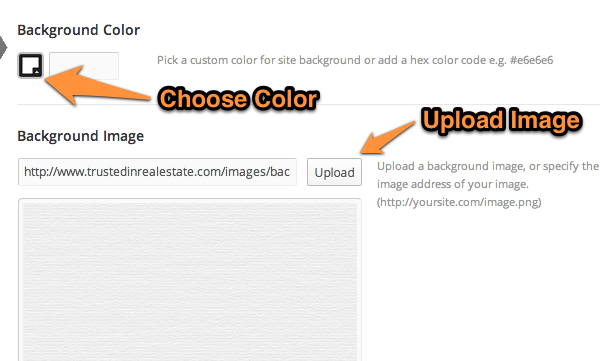 Or, copy and paste the color code in so you are sure you have the exact color of your business. 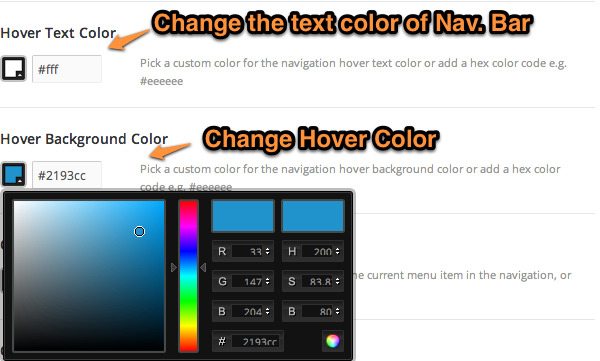 The hover color is the color that shows when you move your mouse over the navigation bar menus. We typically suggest making the hover color a lighter version of your Navigation bar color to give the illusion of the menu indenting in when being scrolled over. Be sure to save your changes and review them on your live website.